The Impresstik Group is privately owned and generates annual turnover in excess of AU$20 million. Established in 1972, Impresstik Pty Ltd has grown to become one of Australia’s largest and most reputable suppliers of roll-fed pressure-sensitive labels and label application equipment. The Impresstik Group comprises three divisions, Impresstik Labels, Impresstik Systems and Impresstik Hi – Dec providing contract labelling and packaging services. All divisions have led the industry through design, innovation, and complete dedication in ensuring customers needs are defined, managed, and end solutions that bring on time delivery and brand success for the client. 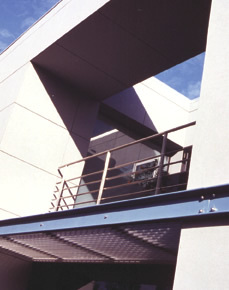 Manufacturing operates from two purpose-built sites with state of the art technology, both located close to each other in Rhodes, Sydney, Australia. It is the only organisation in Australasia to locally manufacture both components – and to market machinery as well as labels as an integrated ‘total solution’ package. Impresstik sets itself the highest standards of achievement in every respect – and continually seeks improvement in an ever-changing environment and marketplace. Impresstik Labels strives to maintain an equally high level of ongoing innovation. All areas of the company’s operation adhere to quality & service standards governed by its ISO9001:2008 accreditation. Further to this, Impresstik runs to the accreditation standards set out under the ISO14001 Environmental Policy.